Ariel Aufgang sure is active in the Hudson Yards area these days. Last week, we reported that Aufgang is designing a hotel at 444 10th Avenue. Now, he’s the architect of record for a 12-story, 187-unit building a block away at 411 West 35th Street. The 178,405-square-foot project will have underground parking, bicycle storage and a recreation room, with apartments starting on the second floor, according to the plan exam application filed November 4th. Here’s the breakdown for the thoroughly mixed-use development: 908 square feet of community facility space, 14,586 square feet of commercial and 162,911 square feet of residential. 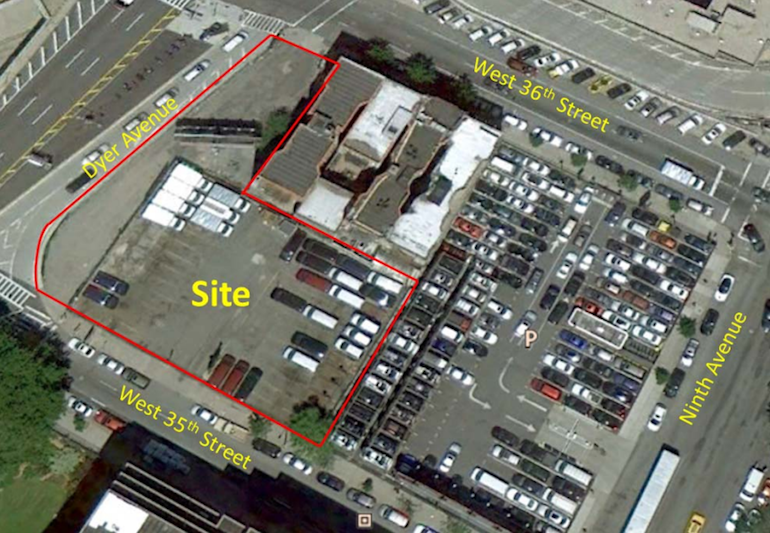 The corner development site, which consists of several adjacent tax parcels at 411-421 West 35th Street, is currently being used as a parking lot. The developer is West 35th Street SBXLVI LLC (go, Giants! ).